How About Starting Your Own Air Courier Service? ﻿How About Starting Your Own Air Courier Service? Have you always dreamed of owning your own business, having the time and money to visit exotic locations and being able to fly first class? How about starting your own air courier service? If you love traveling, live in or near a city with a large national or international airport, and you have the kind of lifestyle that lets you pick up and go on a moment’s notice, then you might want to think about starting your own business as an “air courier”. What is an air courier? It’s a person who is hired to transport a specific item from one destination to another, within a specified deadline. And, before you start imagining sinister men in trench coats carrying guns with silencers, and beautiful foreign women transporting secret microchips, let me reassure you that traveling as an air courier is 100% legal and aboveboard! What you are asked to transport varies tremendously — it can be almost anything — legal documents such as letters or business contracts, children going from one country to another, medicine that was forgotten during a vacation, reports, computer disks, product prototypes — the list is endless. In fact, because of the “instant gratification” mindset today where we are used to information and communication that travels faster than the speed of light, air courier companies have seen their businesses grow tremendously over the last ten years. What that means for you is increased opportunities for free travel. Who can start their own air courier service? Anyone who is over 18, holds a valid passport and who is in good health. It also helps if you’re flexible and can pick up and travel on very short notice. Why is this a wonderful opportunity? 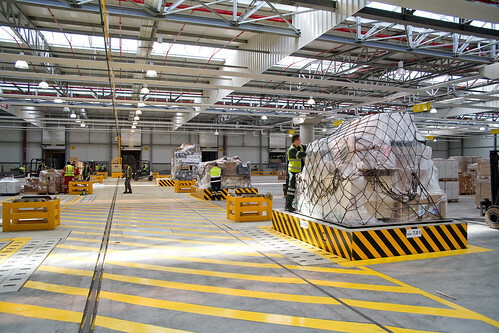 When sending a package by air, the shipper has two options — the first is to send the package as “cargo.” Cargo travels alone (especially since the tragedy of 9/11), is shipped in bulk in large containers that usually aren’t sent until the container is full, in order to maximize revenues for the airlines. In addition, especially when cargo is sent overseas, there are sometimes long delays getting the package through customs, there are endless regulations that must be followed, inspections that must be passed, etc. On the other hand, if the same item is considered “personal baggage” and is carried with a ticketed passenger, it arrives with the passenger, and generally passes through customs quickly, without all the delays. Plus, a person can book a ticket for a specific flight arriving at their destination at a specific time — not so for cargo. Which means that a shipment that could take days or weeks if it’s classified as cargo, can take hours instead because it’s classified as baggage. Because very few of the air courier companies have the resources to employ full-time couriers, the industry itself has come to rely on freelance air couriers, which, even when having to pay someone to travel, and covering the cost of their airfare, is still a better ROI when compared against the paying full-time wages, holiday and sick pay, insurance and all of the other costs involved with having employees. As an air courier, you are providing a valuable service in a growing market. And from the traveler’s point of view, you might find yourself flying to Paris one day, and Hong Kong a week later! Once you’ve been hired, the process is pretty simple: the company contacts you, to check your availability. When you confirm, they book the flight and let you know when to be at the airport. You’re met at the airport by a representative, who gives you your ticket, a list of item or items you’re transporting, and your baggage claim tickets. They’ll usually even have checked you in, saving you many hassles. You get to sit in first class, and enjoy the flight. That’s it. You don’t have to contact the recipient in the city you’re flying to, actually pick up the package on your way to the airport, or do anything other than be responsible for it going from one airport to another. At your destination, you’ll be met by another company representative, who will take the baggage claim tickets, and give you your return ticket. How long do you get to stay? That depends on you and the air courier company. Sometimes your schedule will be tight — you may only get hours between flights. Other times, you’ll have a day or two. Obviously, as your reputation increases and the companies you work for know that they can rely on you, you have more room for negotiating. There are several ways to get started. There are actually companies who recruit air couriers, and the fees for joining are usually nominal. The benefits of going through a certified company can be many. For example, they often provide information that it could take you a long time to figure out on your own. They also offer forums, newsletters and other resources to help you succeed. Because they have built a reputation, you might find it easier to get started in the business by working for one of them at first. But, you can also find the information completely on your own, and start off freelancing. Look in the yellow pages for air couriers that are located near your local airport. Figure out where you’d like to travel to, and make a list of the locations they serve. Because there are companies who transport items both internationally or just within the states, where you travel is largely going to be a matter of personal choice. Also, make sure that you investigate each company before applying with them. You want to make sure that they are a solid business, with a good reputation. Once you’ve narrowed down your choices, get on the phone, and find out what their application process is. Many companies today prefer that you apply online. Whatever the process is, make sure that you provide them with all the information they request. Timely tip: After submitting your application, follow up with a thank-you letter, on your new “company” letterhead. Remind them of your availability, that you can accept short or no notice flights. Find a way to position yourself above that of the other couriers. Once you’ve gone through the process the first time, you’ll have a much better idea about which other companies you want to apply to and how to hone your interview skills. (So don’t make your first application with the biggest company that you want to work for the most.) Obviously, if you limit yourself to one or two companies, you’ll also be limiting the amount of work you’ll get and the locations you can travel to. Timely Tip: Put together a database of the companies you’ve applied to, the date you applied, and contact information. Follow up with the company regularly, but don’t be a pest. Once you’ve been hired, don’t be surprised if you start getting calls within the first couple of weeks. There is a growing need for professional, responsible air couriers. 1. Be professional. Remember that while shorts and flip flops may be comfortable for vacationers, you’re working and representing the air courier company. 2. Often the only baggage you get to take with you is hand carried. Invest in microfiber clothing in basic colors, and learn to pack essentials only. If you do get to stay for longer than a few days, you can always pick up some essentials once you’re there. 3. Give your own business card to the company representative in the country you travel to, and make sure that your email and voice mail information is included. 4. Apply to all the companies you’ve decided you want to work for, and then follow up with the ones that haven’t contacted you regularly — perhaps a polite letter or even a one-page newsletter that lists the latest on industry related news. 5. Stay organized. Don’t over commit yourself, and try never to have to cancel a trip. Starting your own air courier service is a great way to make money and see the world. Author Posted on April 13, 2018 Categories LogisticsTags courier companies, Freight Services, Transport companiesLeave a comment on How About Starting Your Own Air Courier Service? A freight shipping company is in the business of transporting goods from one place to another through the plane, truck, ship, or train. Reasons for freight shipping may be either for personal or business purposes. Whatever one’s specific needs may be, a freight shipping company can accommodate it with one of its service offerings. A freight shipping company is in this business because it is known and assumed an expert in the field of shipping. It is a given that it is familiar with the import rules and policies of foreign countries, the documentation required for shipping, and the methods on how to go about it. A freight shipping company can also coordinate with customs brokers overseas to make sure that the goods they will be shipping will comply with customs export documentation regulations. These customs brokers may be individuals or firms that have been licensed to do business with the customs office. Customs concern itself with the entry and classification of goods, payment of taxes and duties, and other charges as deemed to be due and collectible. A legitimate freight shipping company is licensed by the International Air Transport Association (IATA) and the Federal Maritime Commission. These licenses are given so that they will be able to officially handle airfreight and ocean freight respectively. A freight shipping company also assists businesses, especially if such usually require frequent shipments to other foreign countries. Assistance may be in the form of giving advises on the freight costs, consular fees, insurance cost, their handling fees, port charges and the like. These will be very valuable to the business entities, as these costs will become factors to the pricing of his products. The issue on packing can also be addressed by a freight shipping company. Its staff can assist in recommending the appropriate packing methods that will ensure the goods will be safe in transit. One must note that in shipping goods, there is usually a transfer from one vessel to another or from one mode of transport to the other, and the conditions at each point may not be as ideal as one might think. It is thus safer to get the packing right, and you can do this well by asking for the advise of the freight shipping company you have hired the services of. A freight shipping company offers services that answer one’s needs to transfer his goods from one destination to another. Whether we avail of these freight services for personal purposes, or for complying with the delivery commitments to our customers on the far side of our place, these freight shipping companies have, in no question, made our personal and business lives efficient, and definitely a lot easier. Shipping is one of the most diverse industries. Cargoes are shipped through different modes of transportations using various conduits. Land and air shipping are not to outdo water shipping as many businesses still rely on ocean freight shipping. One of the most obvious reasons that makes harbors and seaports seemingly busy is the activities going on with large ships loading and unloading bulks of cargoes coming from different ports of origins. Ocean freight shipping is used when big bulk of cargoes is shipped from different ports of origin to another port of destination. Business conglomerates most specially those that are operating in the import and export industries use the service of an ocean freight shipping company. Hundreds of tons of cargoes are shipped through ocean freight shipping. Oil tankers of large petroleum magnates transport their products using ocean freight shipping. The transport of flammable substances such as petroleum products is made easy with ocean freight shipping. Less than a truckload (LTL) and truckload (LT) of cargoes more often than not occupies a considerable huge space in ocean freight ship. Ocean freight forwarders contract huge carriers companies to carry their cargoes in behalf of their clients. They provide a hassle-free transaction service to their customers who don’t have the luxury of time in dealing with lengthy shipping negotiations. One of the big names in ocean freight shipping, UPS Supply Chain Solutions, provide solutions to all ocean freight shipping concerns and servicing virtually all the major seaports and harbors all over the world. Everything that anyone needs the calls for the help of an ocean freight hauler, UPS might be the best answer to the problem. Of course there are other companies that are offering the same services at a competitive level. Ocean freight shipping has made Americans enjoy the beauty of luxury cars like the Mercedes Benz, BMW, and Rolls Royce. These high-end cars are imported from Europe. With the help of ocean freight shipping transporting the cars to the U.S. shore has become possible. In the same way, Europeans who are dying to own and sport the latest model of cars from Ford have to rely the service of an ocean freight shipping company. Not only that, the transport of imported chocolates from Europe, dairy products from Australia and New Zealand, oil from the Middle East, are now within easy reach for the consumers, thanks to the help of ocean freight shipping. During tradeshow events, exhibitors ship their display items, tradeshow equipment and other using ocean freight carrier 1-2 months before the said occasion. This will give enough window time for the carrier to reach the destination because these ocean carriers take several days traveling across oceans. No matter how big or small the cargo, no oceans are too wide and too deep for ocean freight shipping.